Dr. Charlesworth-Jones not only holds dual qualifications in both medicine and law but also continues to practice both. He is up to date with the latest medical education and the most recent legal cases and understands what you need from an expert witness probably more so than any medical expert witness or legal expert. Dr. Charlesworth-Jones, whilst qualified in two professional disciplines, understands his role as an expert and never strays beyond that when he is instructed as an expert. Since 2009 Dr. Charlesworth-Jones has been training clinical negligence medical experts and in 2012 he was invited to be the trainer and key note speaker at Premex’s expert seminar and their annual conference. He continues to provide advice, training and guidance for medical experts. Unlike most experts, Dr. Charlesworth-Jones still works every week as a general practitioner in the picturesque village of Ditton Priors. He also undertakes out of hours work and is absolutely up to date with contemporary general practice. Dr. Charlesworth-Jones understands what the Bolam test means in today’s general practice. 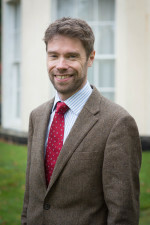 Few experts have even heard of, or understand the implication of cases such as Mitchell v News Group Newspapers Ltd or Jones v Kaney but Dr. Charlesworth-Jones’s understanding of contemporary legal issues makes him an extremely useful expert who understands what those instructing require of an expert in these challenging legal and commercial times. Your case will be far easier to run and more successful with Dr. Charlesworth-Jones’s insightful opinion which will reflect his in depth understanding of the key medical facts which apply to the leading legal issues of a case. Whatever the facts of the case, you are assured of a comprehensive, considered expert opinion which does not sit on the fence. Dr. Charlesworth-Jones’s own experience at co-ordinating expert evidence enables him to provide solid expert evidence on which other experts can rely when forming their own opinions. Experienced at multi-expert telephone and in-person conferences, Dr. Charlesworth-Jones will be an absolute asset to every case. In addition, unlike other experts, Dr. Charlesworth-Jones has a full time administrative and secretarial team to support him and ensure the highest level of services are delivered. His office is available between 08.00 and 17.00 every week day. By prior arrangement he is available at any time to discuss a case. In cases of tight deadlines and forthcoming hearings Dr. Charlesworth-Jones makes himself available to those instructing him at any time required so that you will always have your expert on hand when he is most needed. Any solicitor interested in sending an instruction is invited to email or have a telephone conversation with Dr. Charlesworth-Jones before putting pen formally to paper. If he is unable to assist in a specific instance, for example because of conflict, then those seeking to instruct him are best knowing this at the outset. Other expert evidence which will be required. As with all instructions to Dr. Charlesworth-Jones those instructing are invited to ask further questions of his work by either email or by pre-arranged telephone conference. Before commencing any work you will have the cost and time scales confirmed to you so that you can plan your own time and budget. Dr. Charlesworth-Jones assists in this way to ensure that cases progress in a timely and efficient manner. Fees are always kept in line with the court’s overriding objective and in particular with CPR 1.1(2) in mind. A screening report or preliminary report will typically cost in the region of £300. In the instance of a case with little or no merit there is a discretionary fee applied to cover administration and return or destruction of medical records. CPR-compliant report will typically cost in the region of £1,000 which will entirely depend on the volume of medical records and the complexity of the case. Dr. Charlesworth-Jones is familiar with complex cases which involve care provided by multiple organisations, institutions and individuals including care provided oversees within and outside the European Union: naturally such cases will attract a higher fee. In cases of simple liability the fee charged may be less than £1,000.